The PDF viewer is being discontinued because PDF images are much larger than the JPEGs, taking a considerable amount of time to download and also putting a massive load on Access NewspaperARCHIVE’s servers. 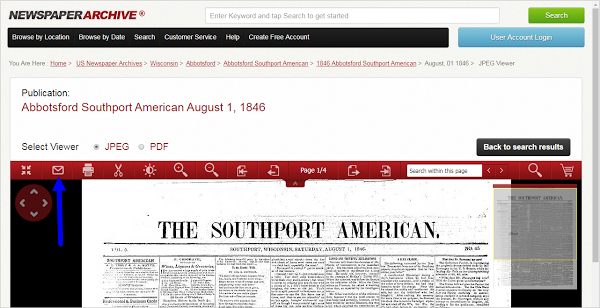 Additionally, Adobe Viewer is a third party platform which means Access NewspaperARCHIVE has no control over how the end product is displayed to the user. 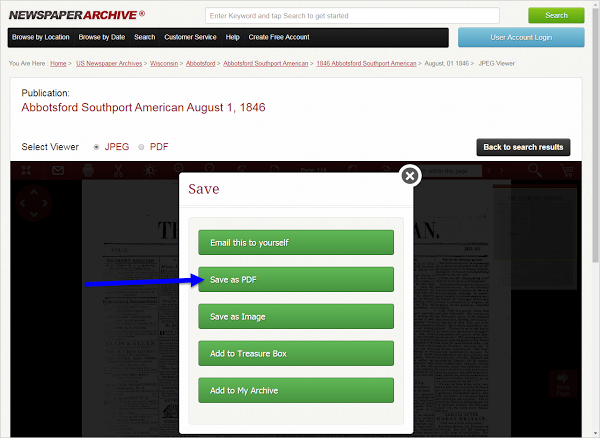 After the transition away from the PDF Viewer, you will still be able to download in 2 easy steps. 1. Click on the envelope in the toolbar. 2. Select Save as PDF.